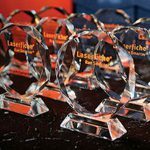 LONG BEACH, CA (January 16, 2014)—Laserfiche has announced the winners for the international government category of its annual Run Smarter® Awards program. The Municipality of Puebla is the fourth largest municipality in Mexico with 23 administrative units overseeing the needs and demands of more than 1.5 million citizens. 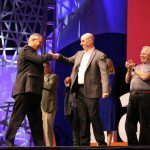 The city implemented Laserfiche to increase government transparency and efficiency, particularly when it came to citizen requests. Canada’s Elgin County has deployed Laserfiche across its 13 departments, eliminating 32 hours of document-related tasks per week. The labor savings from automating the accounts payable process alone has resulted in a near full return on the county’s Laserfiche investment, and the county plans to automate many more processes in 2014. Ghana Immigration Service won a Run Smarter® award for using Laserfiche to eliminate its dependence on manual documents, delays in document retrieval and misfiling while simultaneously helping to bring the organization into compliance with Ghana’s Public Records and Archives Administration Department (PRAAD) records requirements. Superintendencia de Telecomunicaciones (SUTEL) is the Costa Rican agency responsible for radio frequency management—the equivalent of the FCC in the U.S. SUTEL uses Laserfiche across the organization to provide information access to all employees from a single compliant and central repository. It is also used to automate case management. The Run Smarter® awards ceremony took place this morning during the Empower 2014 Conference in Anaheim, CA. For real-time updates, follow #empower14 on Twitter.